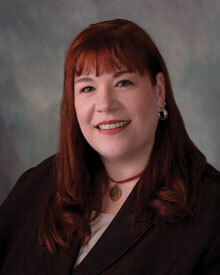 Melissa Hiner joined Tiedemann Realty Services in May 2011 as the Marketing & Creative Director. She came to the team with over 12 years of experience working for two other commercial real estate companies in the Michiana market. Melissa's vast knowledge of the local commercial real estate market allows her to successfully plan campaigns and marketing strategies that put The Tiedemann Group one step ahead of its competition. Melissa is in charge of developing and implementing all marketing concepts and creative direction for the group and its partner companies. She is responsible for all company websites, newsletters, press releases, advertisements, commercials, brochures and all other marketing pieces.